A monastery-desert functioned in Dzoragyugh, the left bank of the Hrazdan, opposite the Yerevan fortress since the early Christianity. 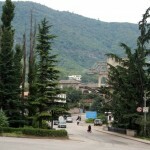 The vast monastery complex included churches of St. Sarkis, St. Gevorg and St. Hagop, buildings of the patriarchal school, an orchard and other buildings. The St. Sarkis Church, as well as the whole monastery complex, was completely destroyed in an earthquake in 1679 and again rebuilt in the same place during the rule of His Holiness Edesatsi Nahabet Catholicos (1691-1705). The present church of St. Sarkis was rebuilt once again in 1835-1842. 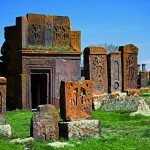 With its interior and exterior architectural features the church was the least attractive among the churches of Yerevan. Its appearance and interior design did not correspond to its purpose – as the seat of the Araratian Patriarchal Diocese. During the rule of the Catholicos of All Armenians, Vazgen the First, St. Sarkis church was completely renovated and restored. Based on the plan of architect Rafael Israyelyan, in 1972 began the works on its fundamental reconstruction. The old church building is almost entirely preserved, all the fronts were covered with orange tuff. 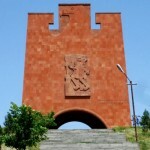 The works, begun by R. Israelyan, continued architect Artsrun Galikyan. In the years 1971-1976, the interior was completely renovated, on the west side was built a gallery for the choir, in 2000. The construction of the belfry was finished. 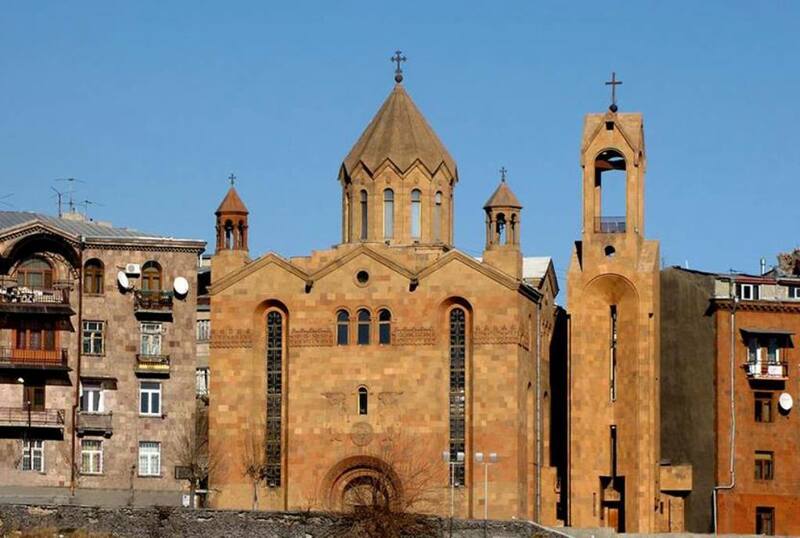 The rehabilitation and reconstruction of the church of St. Sarkis were performed on donations of beneficiaries from London, Sarkis Kyurkchyan and his children, as evidenced by the inscription on the western wall.